As promised, I have recorded and uploaded a video showing how I carve rubber stamps. While the video was processing in the computer, I completed carving the Flower stamp that I showed in the video. 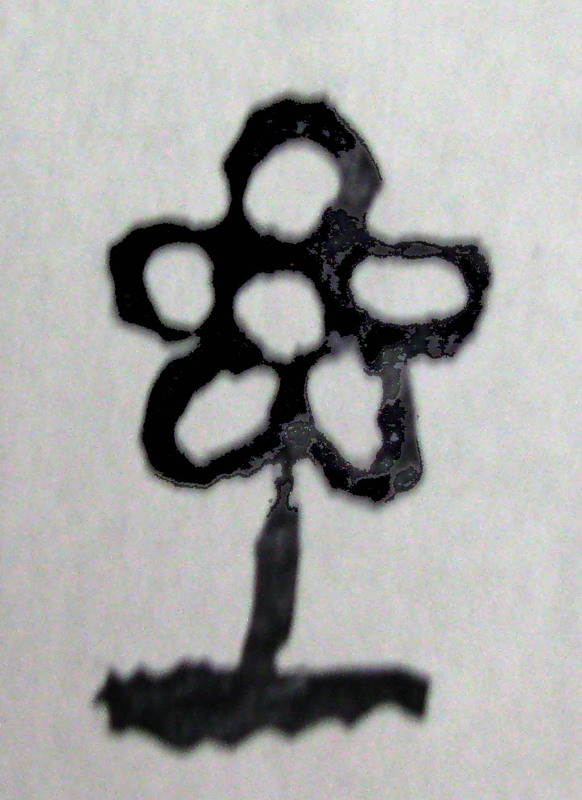 Here is a stamped image from that stamp. Don't be surprised if this image shows up on some fabric. Later I plan to do a picture and words tutorial on using rubber stamps to embellish fabric. Thanks Gene! I have some blocks of carving material and a cutter and I just wasn't comfortable starting until I had some tips. You are TOO much, Gene!!! Your creativity knows no bounds! Thanks for taking the time to do a video on this, too. Gene, I am so glad you did this video. Don't be surprised if you see me making stamps one of these days. I have always wanted to do this. Now, I can't wait to see what paint/ink you use on fabric and how you set it and all the rest. This is another great video!! I had to laugh though at the part where you say "be brave". I will tell myself this as I hack of my finger. tee hee! Just got around to watching this - thanks so much. I will have to pick up the tools next time I'm at the art store. Looked much easier than I would have thought. Thanks so much for sharing. I would love to do a signature stamp for signing my little quilts.